Services - JIER North America - Metal Fabrication Equipment Services - Design - Installation. From design to manufacturing, to transportation, installation and launch, JIER’s experienced staff of engineers, operators, and project managers have installed presses, press lines, machining centers and auxiliary equipment in industrial centers around the world. 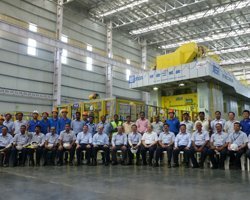 Logistics: JIER has press installations around the globe. Our expertise in the art of manufacturing, destacking and transporting are unsurpassed in the industry. 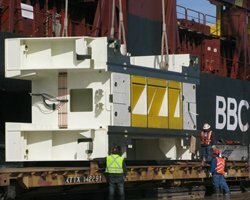 JIER transports presses and press equipment by sea, air, rail or barges, in the safest most reliable and efficient economical manner. Installation: Our global installations have provided JIER with the skilled experienced staff to install a single press or entire press lines in a safe, swift, and economically efficient manner. JIER has globally positioned installation crews and management. NEW: Recent service group expansion to support robotic automation installation at a new facility for an automotive TIER 1 supplier. This expansion will include electrical control upgrades, line integration of robotics, new cushion integration, and quick die-change. Integration: JIER’S many global installations have resulted in successful working relationships with the industry’s leading suppliers of auxiliary pressroom equipment. JIER has the relationships to bring and manage the best suppliers to each and every installation, large or small. 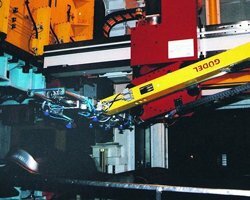 JIER’s experienced project management staff can be trusted to command any major stamping press project. Irregardless of manufacturer, whether it’s a new installation, relocation, press repair or rebuild, from inception through production, our project managers oversee it all. JIER North America’s experienced staff of project managers and product engineers can write, oversee and perform preventative maintenance programs for all types of presses regardless of manufacturer. 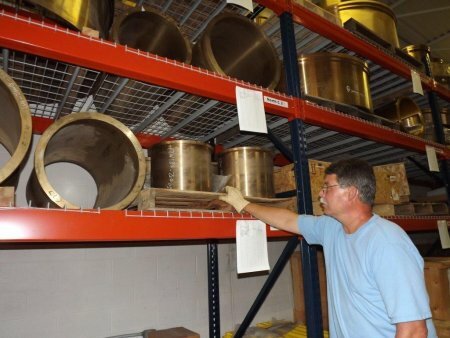 In support of PM Services and North American installations, JIER maintains an inventory of replacement parts and materials in its Plymouth, MI USA warehouse. From design to manufacturing, to transportation, installation and launch, JIER’s experienced staff of engineers, operators, and project managers can install presses, press lines, machining centers and auxiliary equipment in industrial centers around the world.